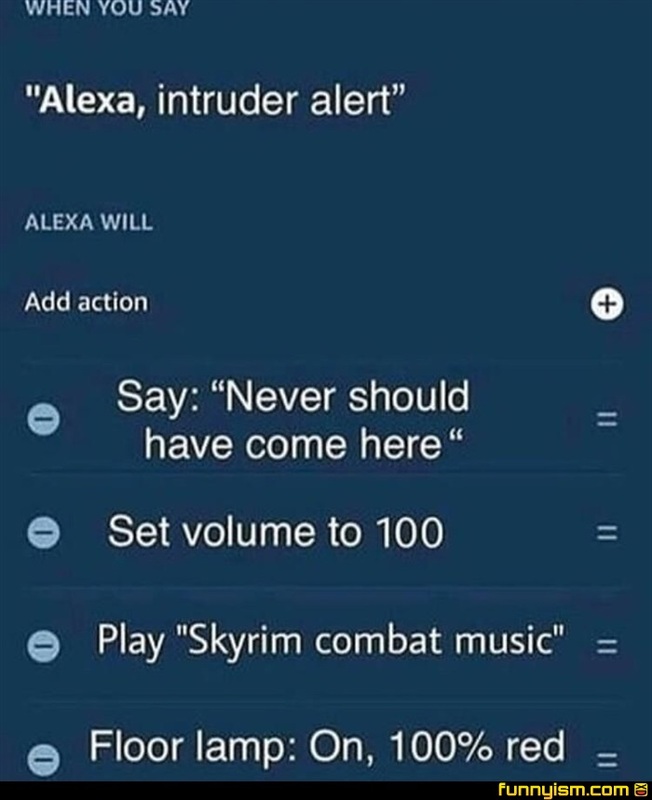 Alexa: "I'LL MOUNT YOUR HEAD ON MY WALL!" @JacieTwisted, I am just gonna keep coming back to this post with more of these. "You run and I'll stab you in the back."